Eagles of Death Metal loyalists that have long cried “Jesse Hughes for President” may have not gotten their wish just yet, but the EODM lead lady-killer has been appointed to another post. After tirelessly trekking across the globe with his EODM cohorts, Boots Electric will make it back to the good ol’ US-of-A for his role as the ambassador of Record Store Day on April 18th. Check out a message from the man himself about why this day is special for him, and why it’s so important to support your local record stores. The Eagles camp will also use the occasion to drop the vinyl edition of Heart On, last Fall’s dirty and danceable, rock hard batch of rock tunes. (Rekords Rekords). 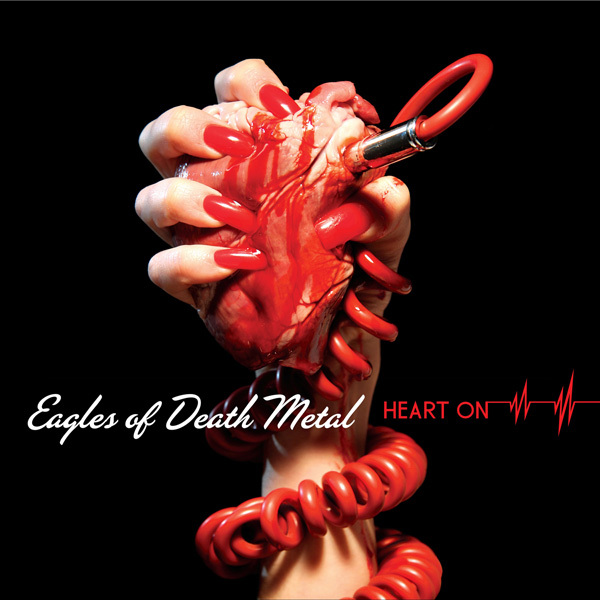 Rolling Stone, Spin, and URB all gave the album 4 stars, so if you still don’t know what you’re missing, now’s the time to take a ride on EODM’s Heart On. Rock ‘n roll’s most lovably outlandish outlaws will also celebrate Record Store Day with a special performance at Rhino Records in Claremont, California. For the latest EODM news + ticket info, stop by www.eaglesofdeathmetal.com.